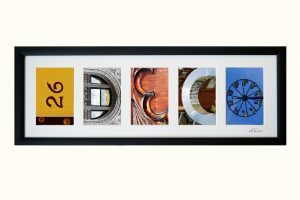 Create a photo frame with your name or any word in Alphabet Photography. Think of any word from 3 to 8 characters. Click on the image with the same amount of letters and create your own photo frame with Letter Art.